Accurate Appraisals email onslaught, hits a Grand Slam! – Accurate (Peel) Appraisals Inc. Accurate Appraisals email onslaught, hits a Grand Slam! 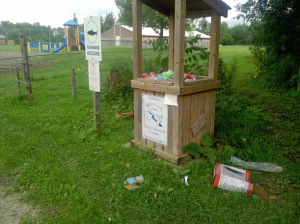 BIG Kudos to Brian Baird Manager of Caledon Parks & Regional Councilor Barb Shaughnessy for their immediate support in having the copious amounts of litter removed from the Caledon trail way park terminals. 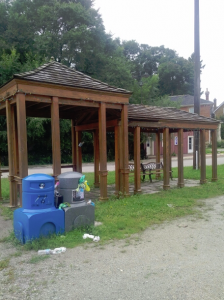 Having the repugnant smelling Port-o-let cleaned at the Inglewood trail head as well was most relieving! It has evidently become more than a sanitation issue. Travel safe, enjoy the fall colours! Please keep in mind that our beloved trail-way is a real gift that continues to give through all seasons to all Caledonians and all her friends & neighbours! P.S. Perhaps granting the big ask of creating painted crosswalks at the busy road/trail intersections will inevitably save a life! Repositioning the 60km Speed Limit Sign in Inglewood, ON. The Would Be Donald Trumps Are Everywhere!